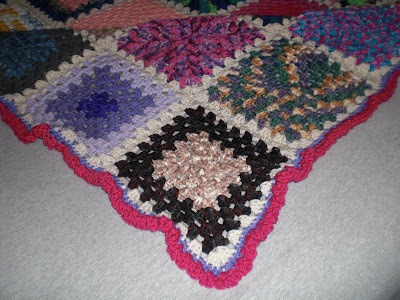 Here is a granny square afghan that I made using scraps left over from other projects. I love the way it turned out. This will be our bed-cover until further notice. Very nice! I'm working on something similar right now for a Project Linus ghan. I was hoping to do red, white, and blues but I don't think I have enough to do that. Will have to see. BEautiful heirloom memories in this one sis. YOu know I love working scrap projects, you did an excellent job on this one. 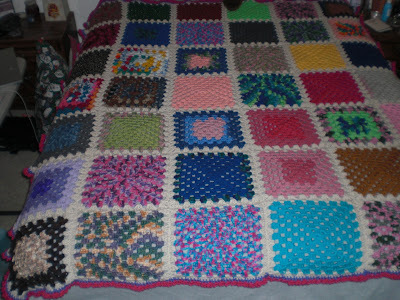 lots of crochet! I crochet way too slow!